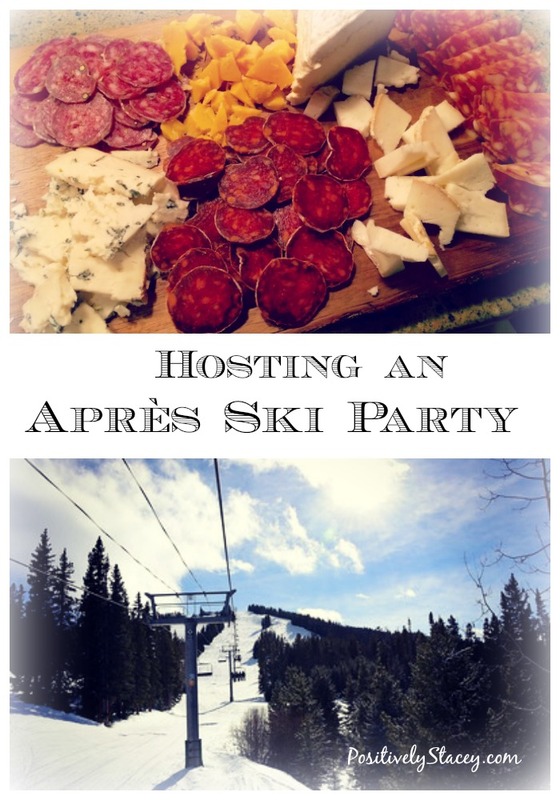 Après Ski Party? Let me just say three more words…Easiest. Party. Ever. And think about it. It has to be easy. A day spent on the slopes skiing or boarding to your delight should never be cut short because you need to get home to set up a party. That is no fun! Not when the snow is fluffy, the skies are blue, the lines are short, and you are on vacation. We recently spent five wonderful days in the beautiful ski town of Aspen, CO. My daughter lives and works in Aspen, so we decided that this would be our ski destination this year. 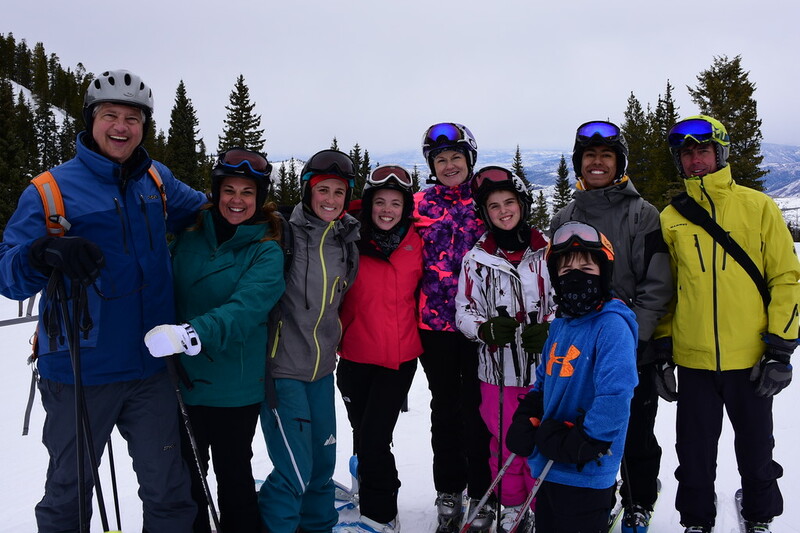 My brother and his family joined us as we try to meet up to ski together every year. 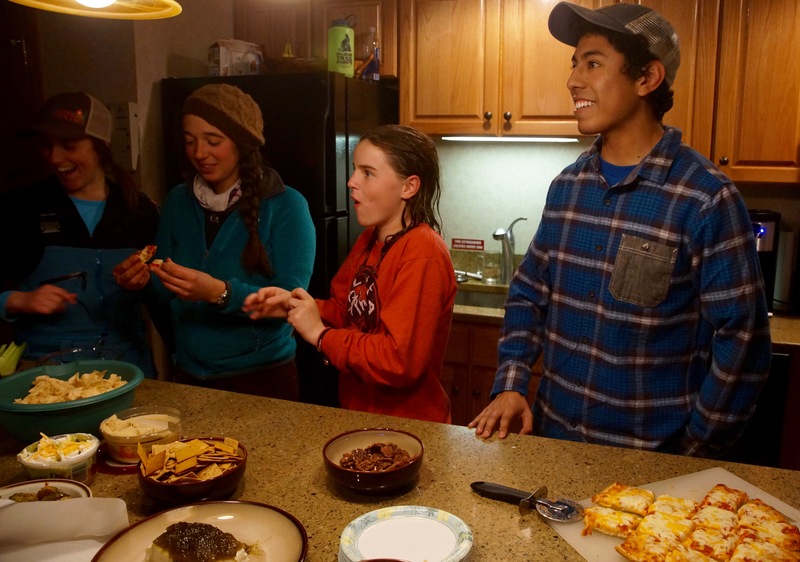 When I had booked our place and my daughter realized that we were staying in a ski-in ski-out condominium at Snowmass she thought of the brilliant idea to throw a small après ski party for her to invite her friends to. I said, “Sure, let’s do it.” Cause if you know me, you know I love to entertain. Afterall, my daughter loves to cook and I was looking forward to meeting her friends. When you entertain away from home, you do have a few extra points that need to be considered. You are not working in your kitchen and you do not have all the supplies that you would tend to use. But you learn to make do or do without. Two years ago was the first time that I Hosted an Out of Town Dinner Party. And that was a blast! With that party in Venice, CA, I had all of a Saturday to shop and prep before our guest arrived. 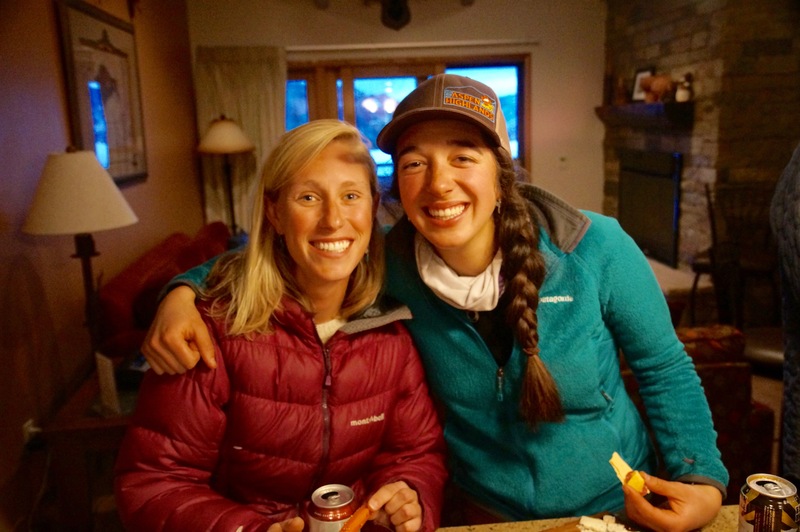 With an Après Ski Party – I was out skiing all day long. I admit, I initially planned on leaving the slopes around three to get a few items and get the party set up. Buuuuut…. 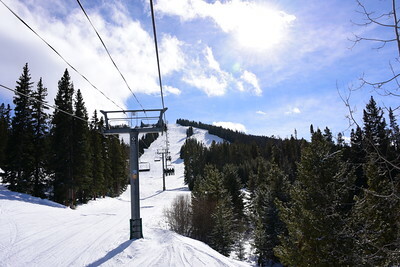 the weather was perfect, the slopes were amazing, and it was just too beautiful on the mountain to go in early. 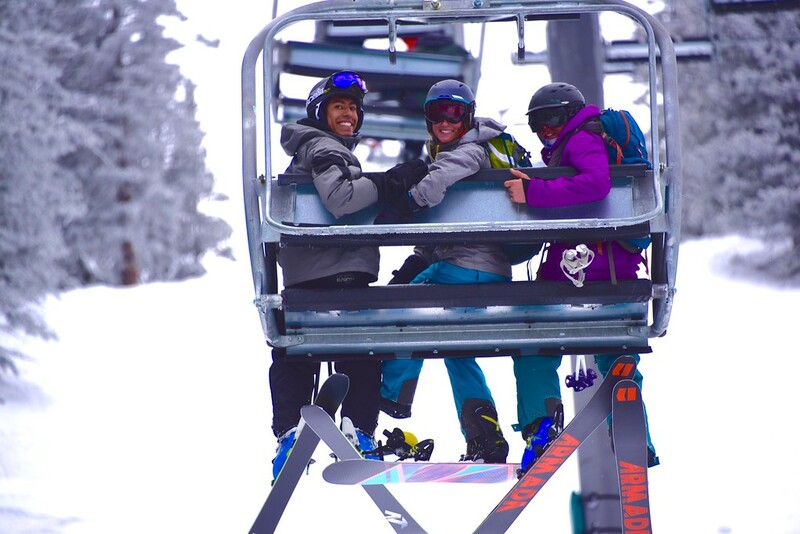 I left the slopes at 4:30 and guests were arriving at 5:00! 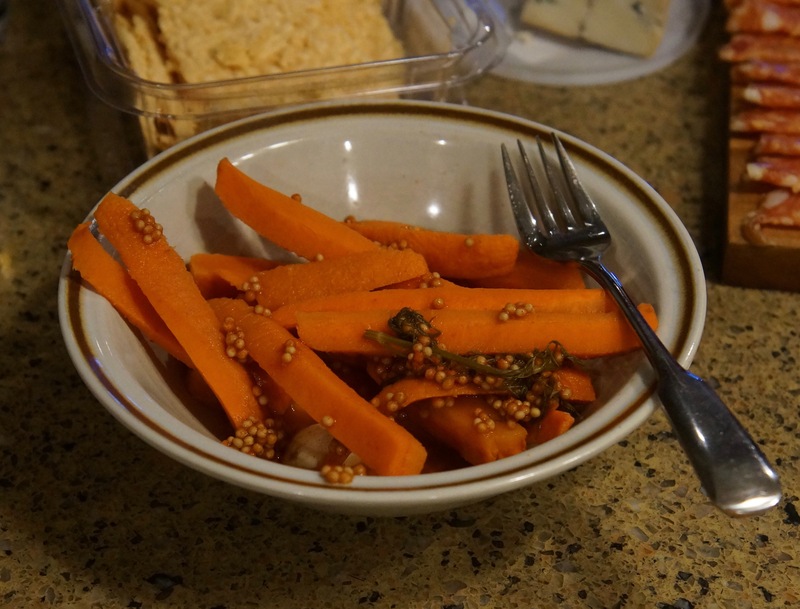 That gave me just enough time to get out of my ski gear and start plattering the assorted munchies! Remember – Easiest. Party. Ever. Because I knew the prep time would be minimal the menu was simple. 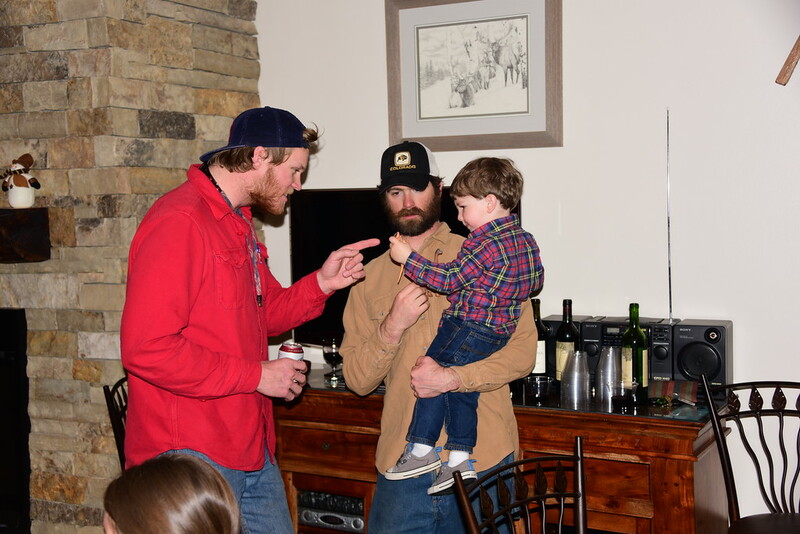 As much as I love to cook, there was no home cooking going on for this party. In fact the platters and bowls were a mix match of whatever we found in the cabinets. 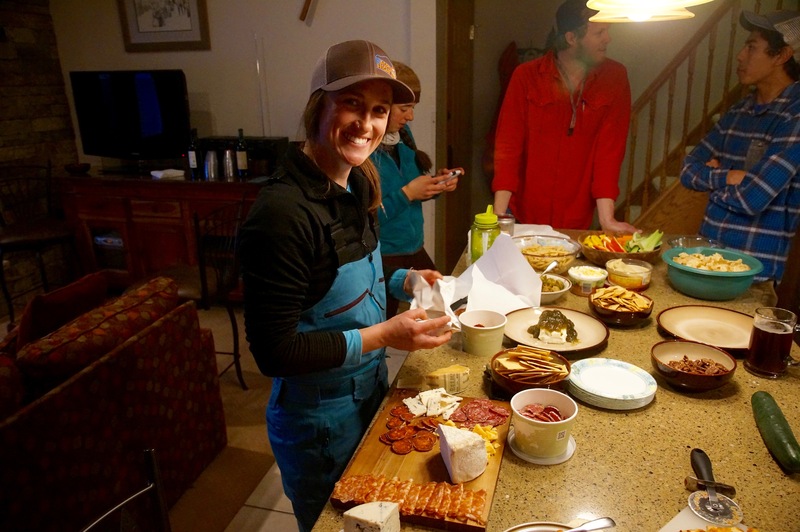 Plus an Après Ski Party is all about gathering for drinks and appetizers. Our party started at 5:00 and ended around 8:00. And to think this whole party started with an Evite! My daughter set up the Evite and sent it to all of her friends. In the planning stages I was under the impression there would be about six friends. Well, it was easy to invite more and the party size grew. The menu was simple, and my husband manned the oven and pizzas. Lucky for me, I was able to spend an evening talking with and getting to know my daughter’s friends. I had a wonderful time! She has so many great friends and that is heartwarming for a mom to know! The evening was great! 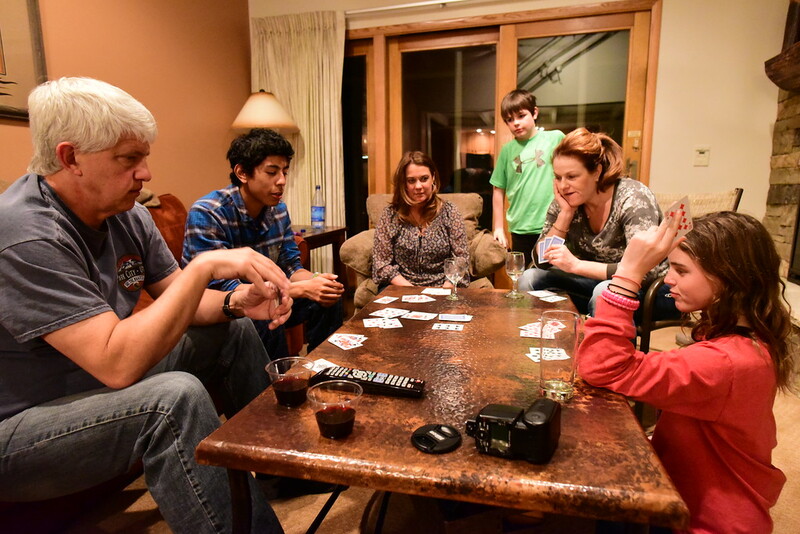 The crew headed out about 8:00 to go bowling, we cleaned up, and broke out a deck of cards to play Gin Rummy. Getting together with family and friends is important to me. It does not need to take a lot of space or effort. It is all about sharing the moments. This is creating a beautiful life! 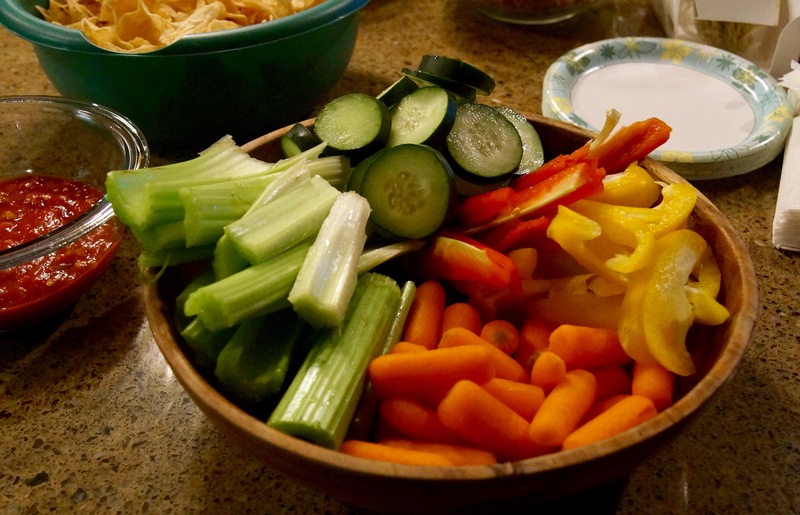 I am drooling over your spread for the party menu – so much variety. The meat and cheese platter looks delicious. The meat and cheese patter was amazing! All of the meat and cheese was sourced locally and organic. Totally yummy! Love it when recipes have context and occasions highlighted in them. They make them personal and richer and always be a reminder of how important food is in any party setup ! It does seem to be a natural combination – gathering with friends and sharing food. Oh now, that looks like a party! I would love to do this with the family! It was super easy and all of it was yummy! Oh, you should give it a try! 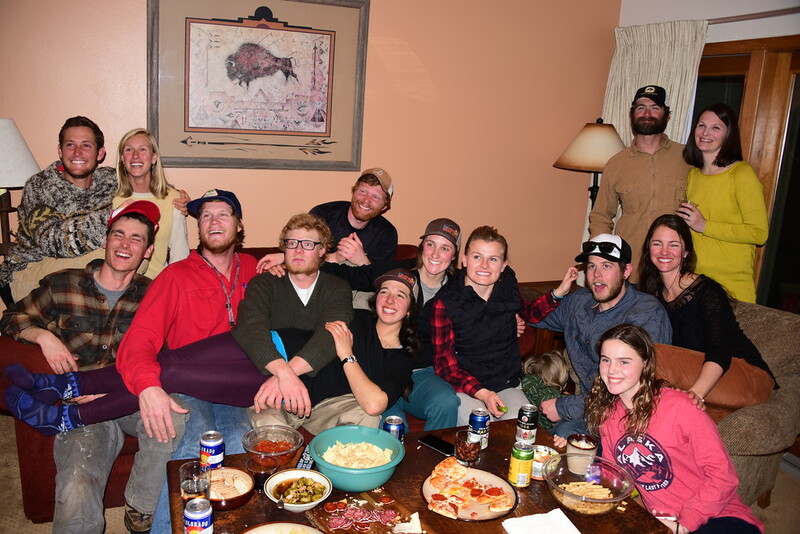 I love that we can all ski together. Oh my word – that charcuterie board is speaking my love language! I am not the least bit interested in skiing but the party afterwards is calling my name! Lol! It was a great day – from beginning to end. This is seriously the perfect spread! Add skiing to it, I’d be in heaven! This is a great way to entertain during a family vacation. 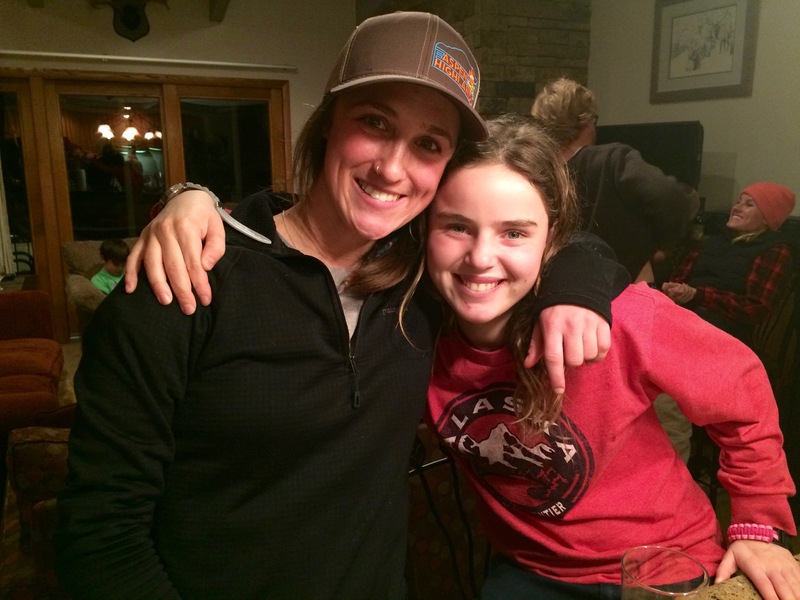 I love the idea of Apres Ski and combining it with your daughter’s friends too! I am so glad that my daughter thought to do this! It was a perfect evening. I have never been skiing before but I would like to try one day. This looks like a great feast. I hope you get a chance one day. We all love it! When I did my wedding, it was far away from home and you’re so right, it’s not your kitchen and the things you’re used to having right there, aren’t there! Plan for everything! Great advice! There are a lot of details that should be accounted for when you are planning something big. This was a casual gathering, so it didn’t really matter. Aspen is gorgeous! I hope you make it there one day. It was all about yummy and easy! oh my god, I want to eat all of that right now. Well done on the fab party. I have never been down hill skiing before. But, would love it if we had a big group like this to gather with! Food, family and fun- best memories ever! It was a great time – super memories! I’ll skip the snow but I’d be happy to come to your party. It looks like everyone is have a great time. You would be totally welcomed! This looks like a fun party. After a long day an easy party is perfect. Yes, that is so true. And this was super easy. So fun !!! I would absolutely love this even though I’m the worst skier ever I mean ever lol. It is just fun being out in the mountains! This looks exactly like my kind of party! I love everything about this from the meat and cheese platter to the little-to-no prep work 🙂 It looks like so much fun! Yes, it was super easy! And all of it was oh-so good! 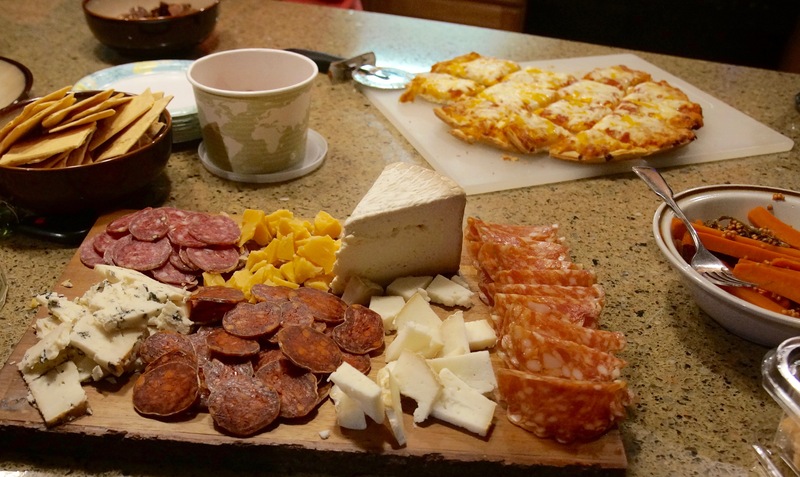 That meat and cheese platter looks amazing! I love feeding my kids’ friends! There is something special about having your kids and their friends all together! OMG..this food looks absolutely amazing!! 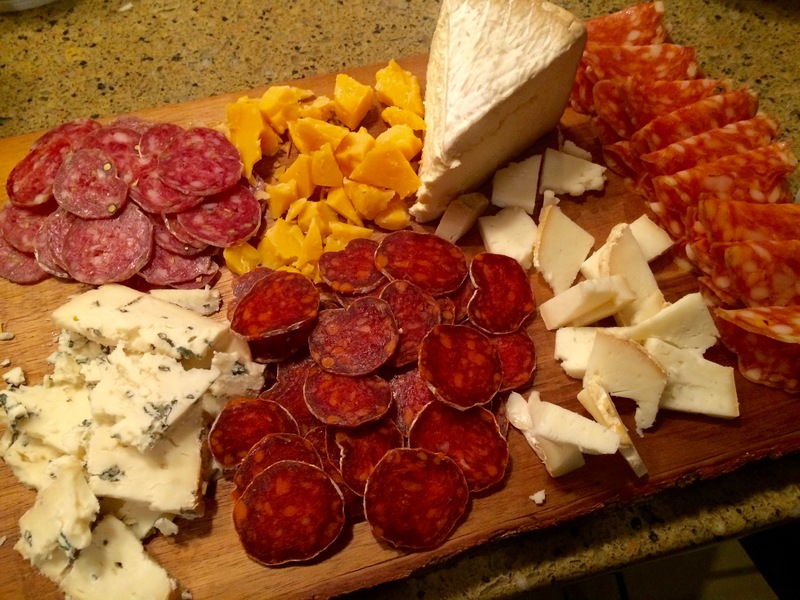 My hubby and I love to try different cheeses, so the meat and cheese tray is probably my favorite. It was wonderful collection of local meat and cheeses. I love the hot chocolate bar. 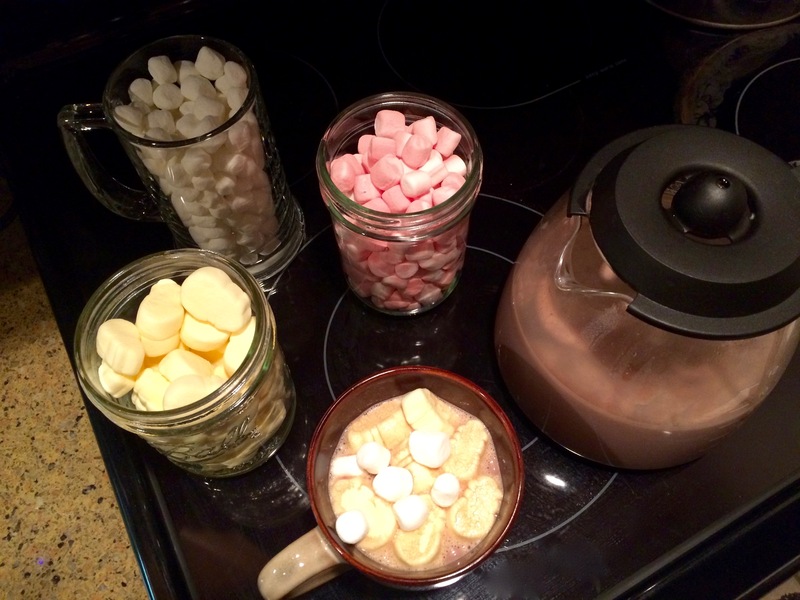 I think it’s perfect for a ski party, plus who doesn’t like to add toppings to their hot chocolate. Yum. What an absolute fun party! 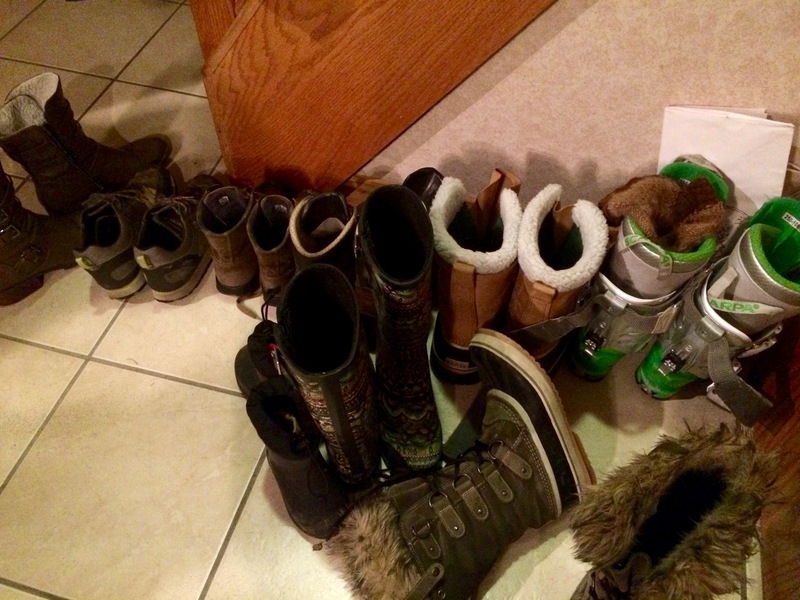 My girls love to ski and would love to have a party to go along with it too! It was a great day! So much fun getting to know my daughter’s friends. 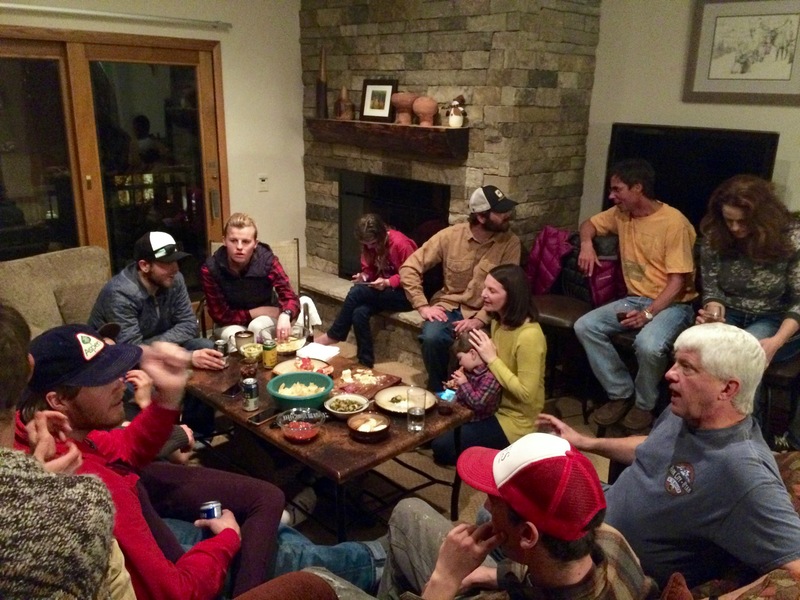 We own one of those ski in-out places up in NH and we’ve thrown lots of parties up there – SO FUN! Oh, that would be fun! I loved the ski-in, ski-out aspect. SOOOO easy!